You have an alternative to facelift surgery. At Serrão Rejuvenation Center, Dr. John Serrão – a board certified gynecologist and post-graduate trained cosmetic surgeon, specializing in non-surgical rejuvenation of the face and neck – offers the non-surgical facelift for women in Orlando, Winter Park, and the surrounding areas of Florida. A facelift is considered the most advanced way to rejuvenate an aged appearance. Although the procedure gives women dramatic results, it also requires a significant amount of downtime and a lengthy period of healing. The reason is that the underlying muscles are modified, and excess skin and fat are trimmed away. Symptoms after a surgical facelift may include bruising, tenderness, swelling, and black eyes. You also have scars that are along the incision lines. Another downside is that surgical facelifts require general anesthesia, and some women do not feel comfortable with this approach. The non-surgical facelift at Serrão Rejuvenation Center gives you all the benefits of a surgical procedure without the disadvantages. Dr. Serrão believes in providing his patients with the results they need in a manner that fits their lifestyles. Solutions such as the non-surgical facelift ensure that women receive the highest quality care and can enjoy the results of their procedures sooner rather than later. Dr. Serrão uses a combination of threads and dermal fillers for his non surgical facelift procedures. Many of our patients who desire the non-surgical facelift do so because they have seen the results that Dr. Serrão provides to their friends and co-workers. 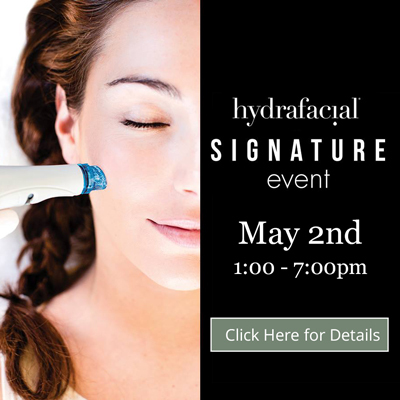 Learn more about our non-surgical facelift. 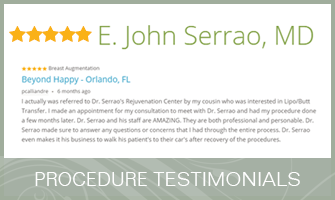 At Serrão Rejuvenation Center, Dr. John Serrão – a board certified gynecologist and post-graduate trained cosmetic surgeon, specializing in non-surgical rejuvenation of the face and neck – offers the non-surgical facelift for women in Orlando, Winter Park, and the surrounding areas of Florida. Contact us to schedule a consultation and begin your rejuvenation today. A non-surgical facelift is a cosmetic procedure that uses advanced techniques to lift areas of the face. Dr. Serrão uses threads and dermal fillers for the procedure. How is the Non-Surgical Facelift Performed? Your non-surgical facelift may involve the use of threads and fillers. Facelift threads are surgical sutures that are inserted in the skin and tied off in a way that lifts the skin. The sutures eventually dissolve. Dermal fillers contain ingredients that add volume to the skin, and this soften lines and wrinkles. How Long is the Recovery from Non-Surgical Facelifts? You will have little to no downtime after your non-surgical facelift. Dermal fillers require no downtime, and threads may require you to rest at home for one to two days. You may experience some mild tenderness and swelling due to the threads. We understand that cost is a consideration for any cosmetic procedure. Compared to a surgical facelift, our non-surgical facelift is more affordable without sacrificing quality results. After your consultation, we determine pricing based on the treatment plan, and we can discuss these details before you leave our practice. Serrão Rejuvenation Center offers financing for our patients.